With long summer days relaxing on the beach, with the sand between our toes as we listen to the waves gently lap the shoreline well and truly behind us, it’s time to look ahead to the colder months. Winter is coming, whether you like it or not, but that doesn’t mean you can’t treat yourself to an Italian getaway this time of year. In fact, Abruzzo comes to life during the winter and is a haven for skiers and sea-worshippers alike. Read on to discover a taste of what awaits you in this beautiful region of Southern Italy, and how a winter break in Abruzzo might be just what you’re looking for in the new year. Abruzzo has long-since been known for its enviable snow seasons, but its ski resorts remain largely underrated, meaning the mountains are less crowded than some of the more popular destinations in France and Italy. Peak season is between December and February, although snow can fall as early as October and as late as April. Temperatures plummet mid-winter, and the snow-capped mountains and white-carpeted hillside villages make for a truly fairy-tale setting. Those that prefer to keep two feet firmly on the ground can still take in the magnificent mountains and snowy scenes with hikes through the woodland and to fantastic viewpoints that are sure to take your breath away. Abruzzo is one of the only destinations where you can be stood atop a mountain with snow crunching below your feet and witness a clear view of the azure sea out in front of you. Winter is a time for indulgence and there’s no better way to get to know the holiday destination of your choice than by sampling some of the fine cuisine on offer from the local area. For example, anyone staying in Abruzzo in the run up to Christmas, or just after, should not pass up on the opportunity to try some caggionetti. These, like many of the tasty things in life, are sweet and fried in the form of a little ravioli parcel and are then stuffed with finely chopped chestnuts and toasted almonds, local honey, chocolate and lemon rind, all of which has been soaked in rum overnight for extra flavouring. The result? An addictive sweet treat that you simply can’t decline – the perfect snack or dessert for wandering around the Christmas-filled towns and villages. Similarly, Vino Cotto is a cooked wine from Teramo and the Le Marche region and is sure to warm you up from the inside out on a cold winters’ eve. The sweet and sour drink is usually served in a shot glass, but that’s all you need – trust us – and can sometimes be served with cooked pears and mascarpone cream for total bliss. From whizzing down the slopes with the beautiful blue sea unfolding in front of you to exploring wintery, charming towns and villages, Abruzzo really does have it all. However, just because you are visiting during the colder season does not mean you shouldn’t pay a trip or two to the renowned coastline to sample some of Italy’s finest blue flag beaches on the southern coast. There are almost two climates in Abruzzo, and temperatures inland can be up to four degrees colder than those on the coast, making it much more appealing for a wintry walk. Whilst you may not be taking a dip in the ocean or relaxing on the beach, you’ll probably have the place to yourself bar a few local fishermen, and there’s something undeniably special about the wild cliffs, expansive sands and feeling like you’re the only one there in the world. 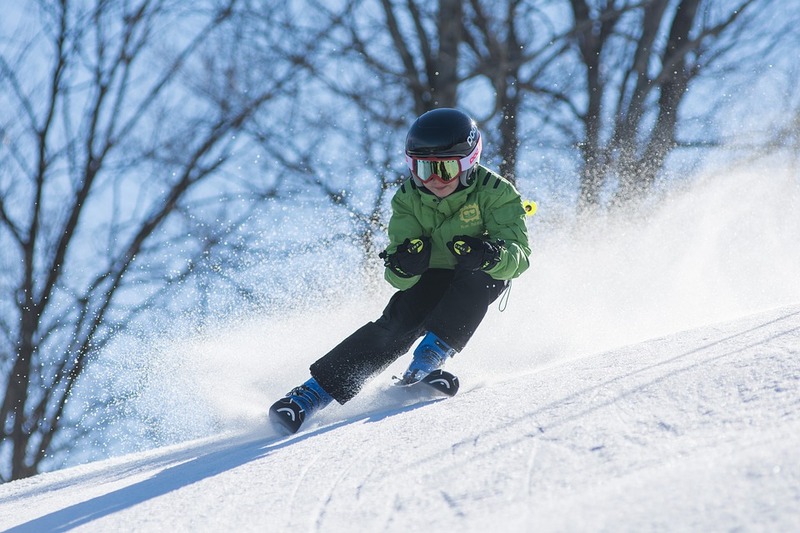 For the days when the outside temperatures are simply too cold, or you don’t fancy yourself as a skier, there are plenty of activities that take place inside to make a fantastic holiday. The region is home to an impressive collection of science, history and specialty museums all of which are bound to fascinate you and teach you knew things about the area. Alternatively, Italians are renowned for their excellent craftsmanship and Abruzzo is no exception, making it the perfect place to treat yourself to some luxury items. Head to any of the small towns to uncover an array of individual boutiques, each catering to your individual needs, be it the handmade shoes with extra support or a tailored suit from one of the well-known Italian designers. For those that aren’t fazed by sub-zero temperatures, there’s a range of fantastic things to see and do during your time in Abruzzo. From hiking picturesque trails with awe-inspiring viewpoints to wandering the streets of charismatic hilltop villages; there really is no shortage of things for you to do while you’re here. The National Parks in Abruzzo are a fantastic place to explore and look for wildlife, and you might even spot some of the spectacular waterfalls on your journey but visiting these spots will heavily rely on snowfall and whether it is safe to do so. During extreme weather, where exploring the wilderness is all-but off limits, discover the plethora of historical sites and points of interest throughout the various towns in the area, allowing you to stretch your legs and explore safe in the knowledge that a café serving coffee is never too far away. We hope you enjoyed our insight into what life is like during the winter time in Abruzzo and it has, at least, inspired you to add the destination to your bucket list. 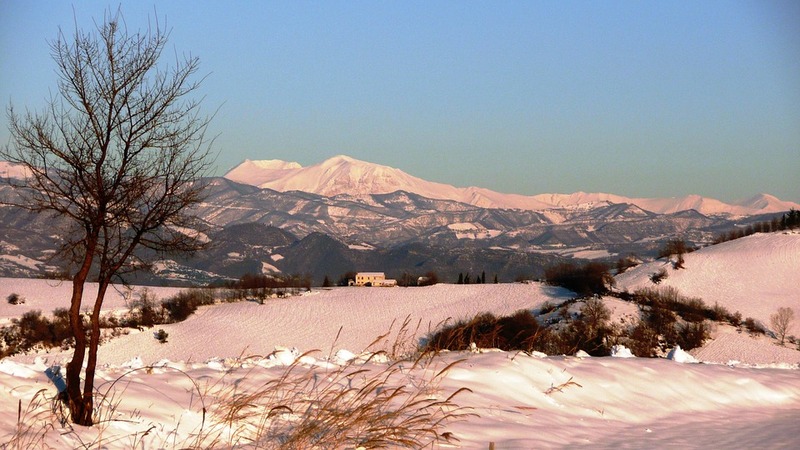 Have you stayed in Abruzzo during the winter and have any other tips to share with fellow travellers? Don’t hesitate to share them with us in the comments – we love to hear about all of your adventures. For more information about the region, or any of our holiday villas in Abruzzo, don’t hesitate to contact a member of the dedicated and passionate team here at Essential Italy, who would be more than happy to help.